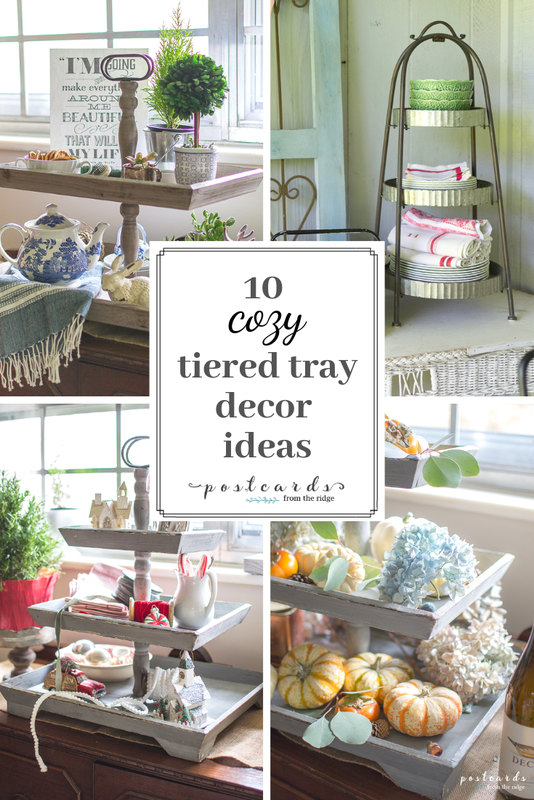 Are you a fan of tiered trays? They're so versatile and fun to decorate. I just changed out the decor in my two tiered wood tray to a look that will last through summer and am sharing the details here today. 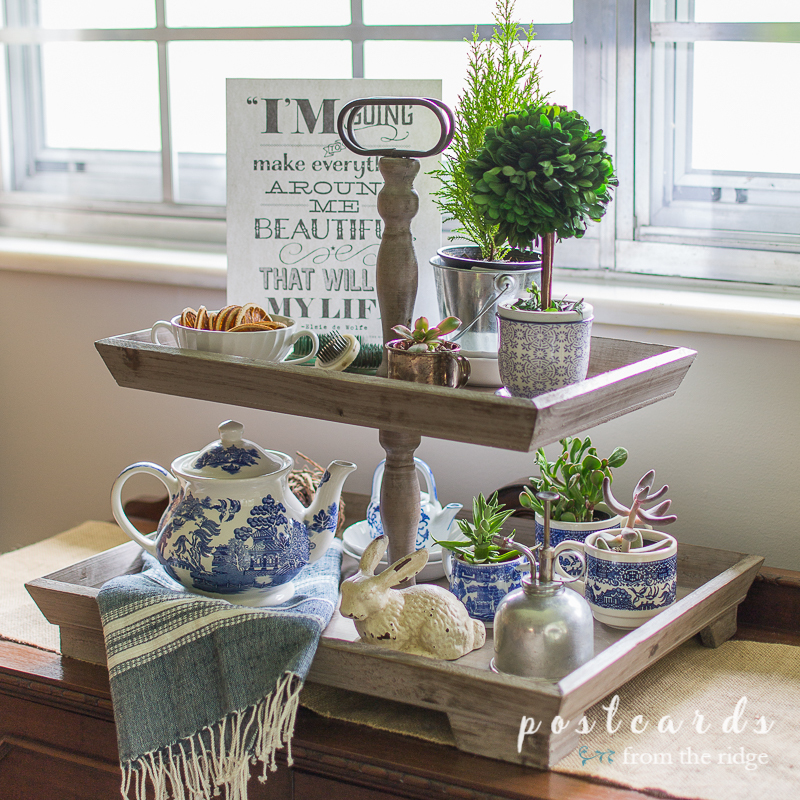 There's no limit to what you can use tiered trays for or how you can style them. 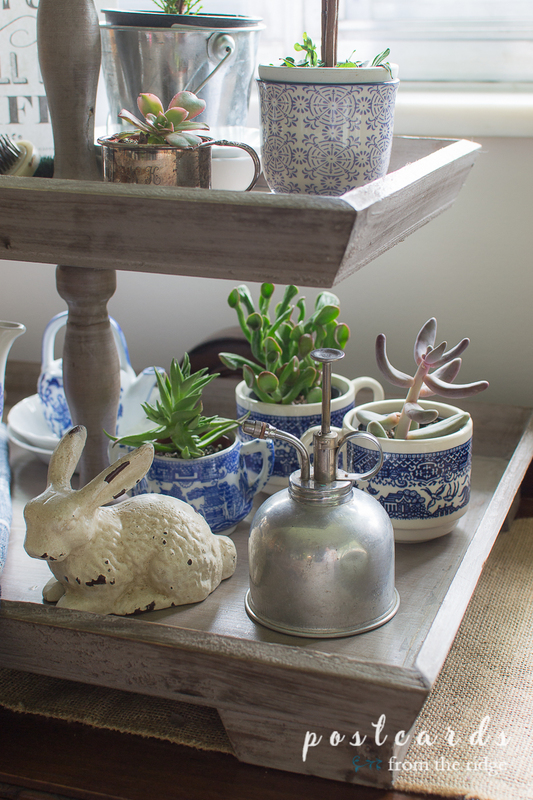 In my tray I added some of my favorite vintage blue and white accents and some succulents. The vintage plant mister was a sweet find at a recent estate sale. And the little cast iron bunny is from my shop (found HERE). 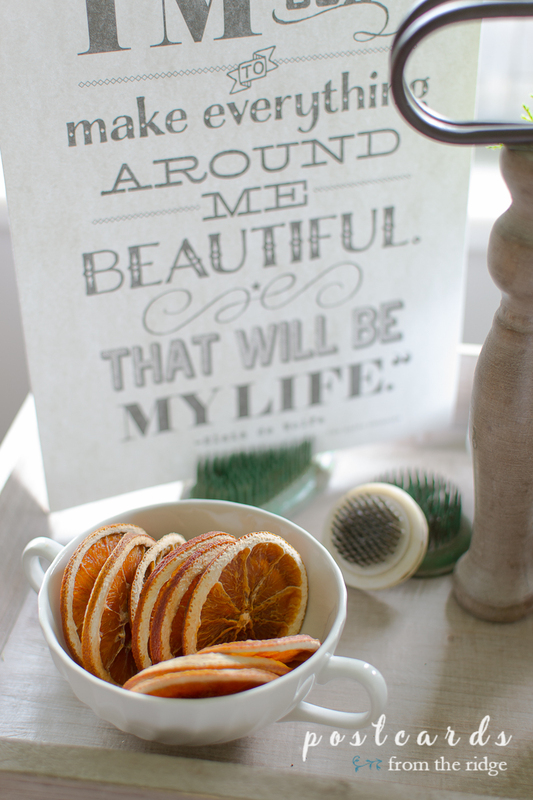 A bowl full of dried orange slices adds a bit more of a natural element. 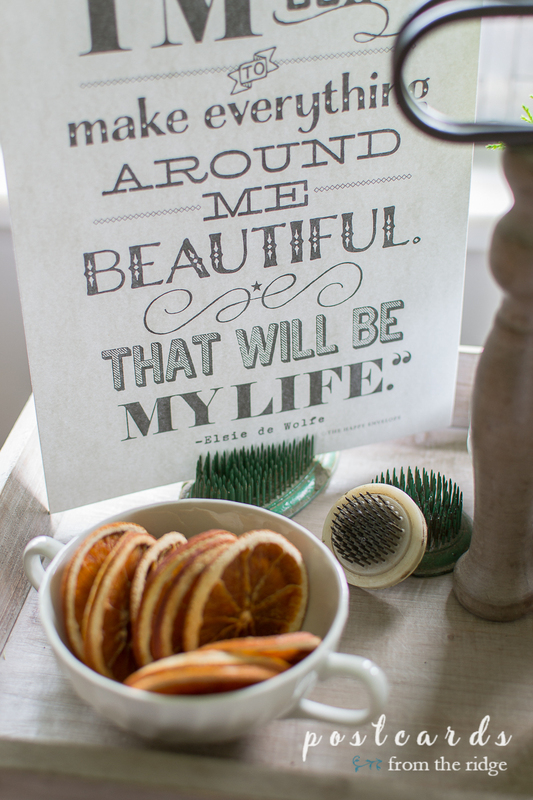 I placed them in a vintage white ironstone sugar bowl for a simple statement. 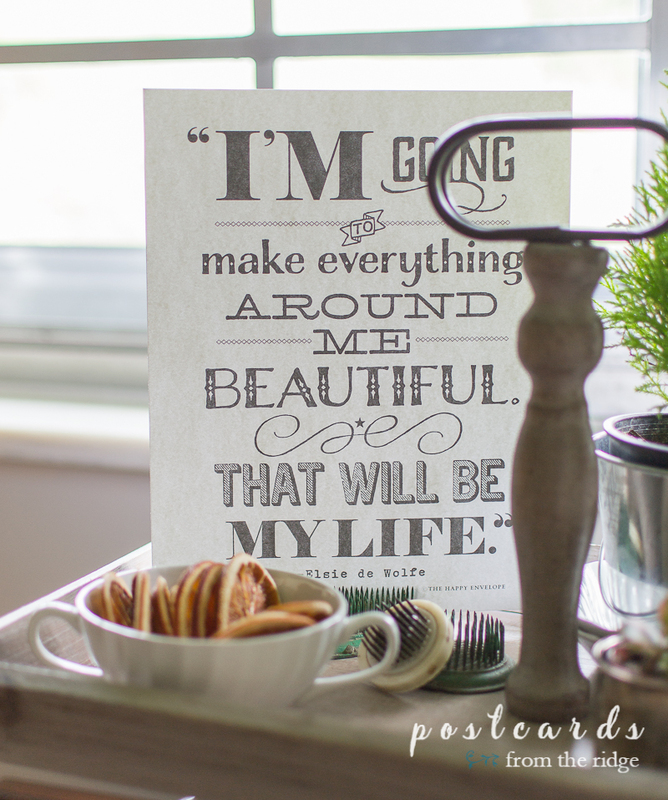 And one of my favorite quotes from Elsie de Wolfe fits perfectly on the top tray. A vintage flower pin frog makes an unique stand for it, don't you think? It fits in nicely with the natural theme. Little silver cups are a fun place for small succulents. I placed the pot right inside the cup. And the preserved boxwood topiary sits in a sweet little ceramic pot that I found on a trip to Savannah a couple of years ago. And a special element here with this blue willow teapot. It belonged to my late mother-in-law and she cherished it. I can see why since it's such a classic, beautiful piece. I always like to use meaningful pieces whenever I can. How about you? One new item that I have on the bottom tray is the blue hand towel. It's from an ethically sourced company and I'll be adding some of their items to my shop soon. It's a really nice weight and the color is a timeless one that goes with everything. 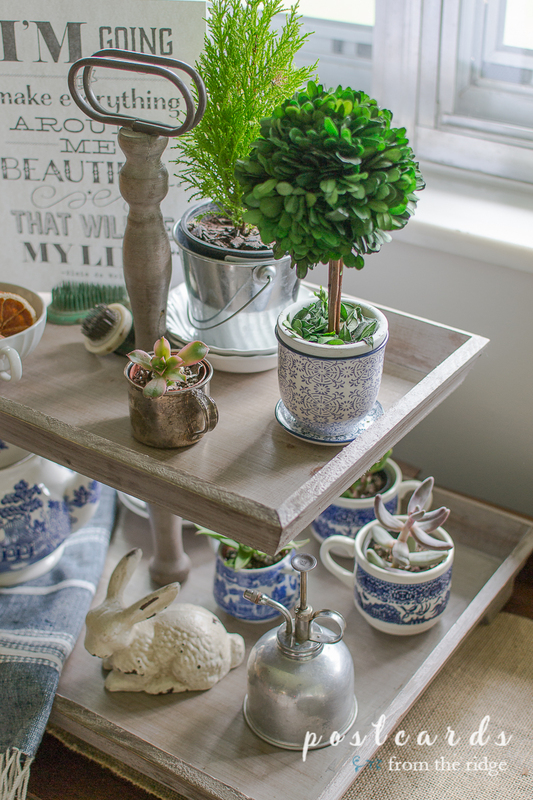 Want to see more ideas for styling tiered trays? 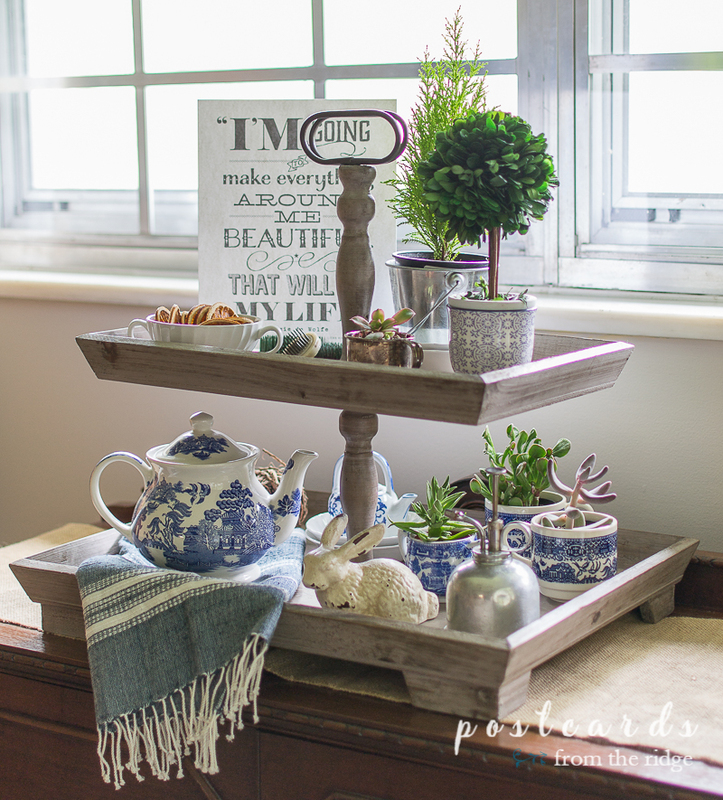 I shared 10 different tray styling ideas for various seasons HERE. 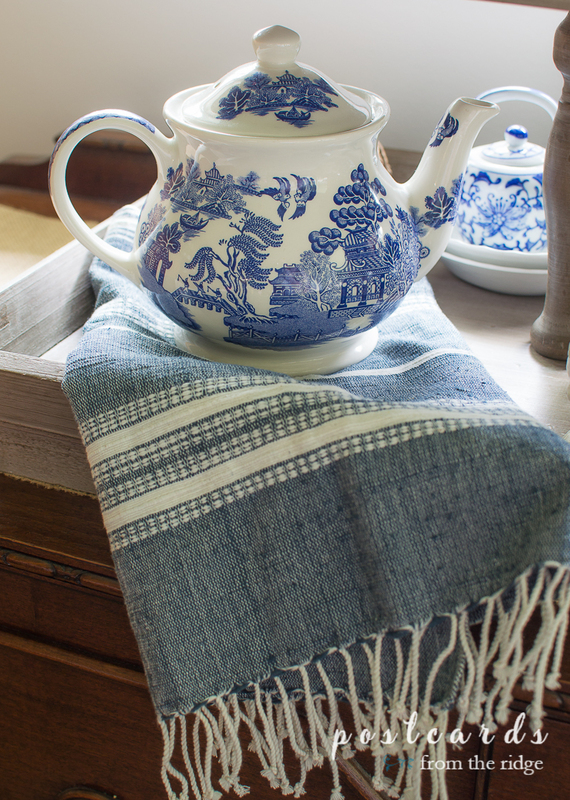 Do you love decorating with blue and white? 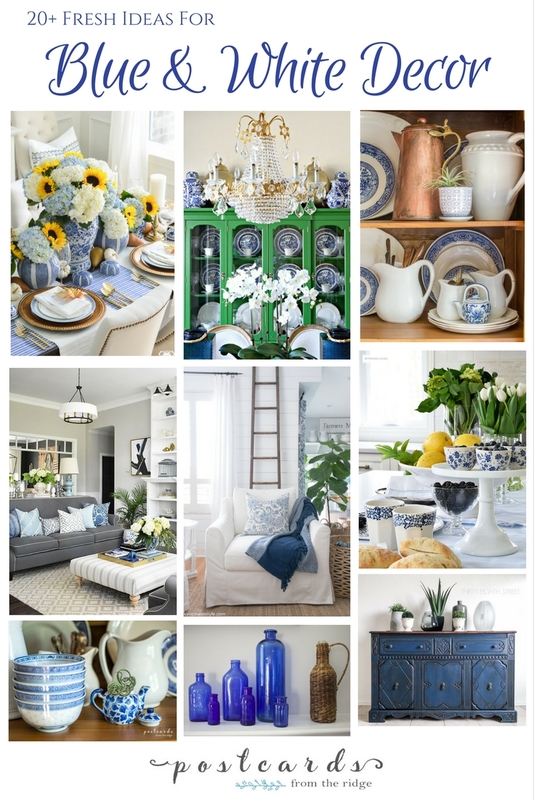 See more than 20 ideas for decorating with blue and white HERE. 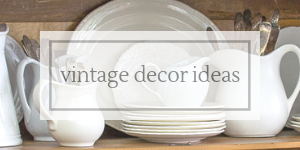 See dozens of my favorite ways to use vintage decor HERE. 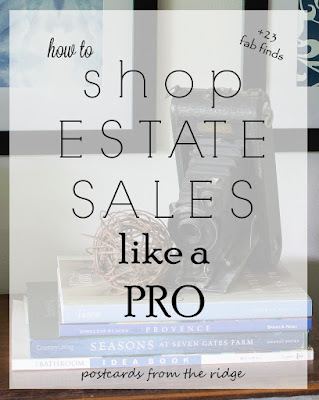 Find out my best tips for shopping at estate sales HERE.